Make the dark a friendlier and exciting place by projecting your favourite animal images into your room with the Wildlife Nature Torch. Turn the dark into a wildlife adventure for comforting fun at night. 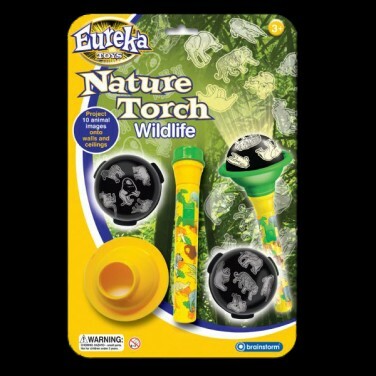 Bring the dark to life and make bedtime intriguing and fun with the Wildlife Nature Torch. 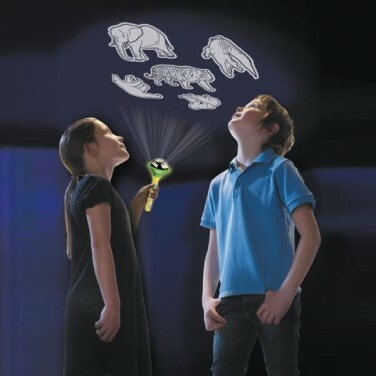 A fun projection torch, cast the shapes of ten animals into your room for exciting jungle adventures in the dark. Perfect for helping young kids who’re a little nervous in the dark, and for those who just love a little mischief, the Wildlife Nature Torch makes the dark a magical place filled with the friendly faces of their favourite jungle animals. Help your kids to become more comfortable with the dark and turn bedtime into fun time with an astro projector torch. Project stars, planets and space images onto their bedroom walls and ceilings and show them that the dark can be fun!